Ford has just released pricing for the 2013 Mustang lineup including the V6, GT and Boss 302. Those who are interested in the Mustang V6 will be happy to know that pricing has mostly stayed the same, with the base V6 coupe keeping its MSRP of $22,995 and the premium V6 coupe staying the same as well at $26,995. The biggest differences in the 2013 pricing are with the GT models. The base Mustang GT now has a suggested MSRP of $31,095, up from $29,995 in 2012, and the 2013 premium Mustang GT now carries a price tag of $35,095, up from $34,895 in 2012. Pricing for the GT Convertible models have increased as well, with the base model priced at $36,095 (previously $34,995), and the premium GT Convertible going for $40,095 (previously $38,895). Pricing for the Boss 302 models have risen by $2,000, with a $42,995 msrp for the standard model ($40,995 in 2012) and a $49,990 msrp for the Laguna Seca ($47,990 in 2012). 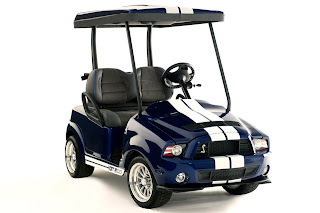 Ford has also released pricing for the various option packages for the 2013 Mustang. Of note are the Recaro seats now available in the V6, GT and Shelby GT500 models ($1,595 for both cloth or leather), V6 Performance Package ($1,995), Electronics Package ($2,340), Brembo Brake Package ($1,695), and GT Track Package ($2,495). Here’s the full 2013 Mustang pricing breakdown, all of which include a $795 destination and delivery charge. This entry was written by by MustangsDaily (Mustangs Daily) and posted here on Friday, February 3rd, 2012 at 3:34 pm and is filed under 2013 boss 302 price, 2013 ford mustang, 2013 mustang, 2013 mustang boss 302 price, 2013 mustang price, 2013 mustang pricing, Headline, News. This article was not written by us, rather gathered using RSS feeds listed here. We take no credit for this article. You can leave a response, or trackback from your own site.